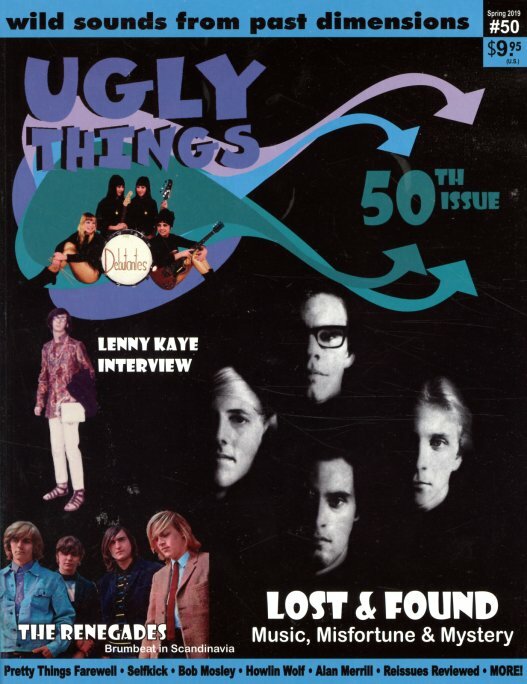 Ugly Things celebrates its 50th Anniversary – a well-deserved milestone, given that each issue of the magazine is more like a book than a standard periodical! As usual, the binding here is paperback, and hefty enough to hold the 150 pages of very deep, well-written text – graced with black and white images throughout, and very few ads – and featuring a long interview with the great Lenny Kaye, the man who gave the world Nuggets, and plenty of great music of his own – plus more on The Debutantes, Lost & Found, The Renegades, Pretty Things, Howlin Wolf, Bob Mosley, Selfkick, and others – plus a huge section of reviews, and lots more too! © 1996-2019, Dusty Groove, Inc.